Mumbai, Feb 14 (IANS) In a move that will bring back the Tata family into the Tata Trusts, Noel Naval Tata was on Wednesday appointed as a trustee to the Sir Ratan Tata Trust. 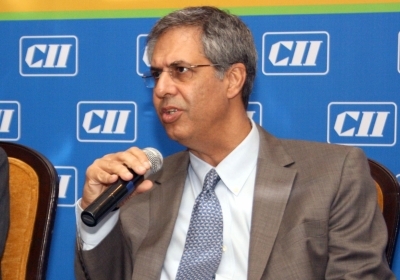 Noel Tata's brother-in-law, Cyrus Mistry, was named the Chairman of Tata Sons in 2011, a position he held till 2016 before being removed unceremoniously. At that time too, Noel Tata's name surfaced as a top contender for the post. But the position went to N. Chandrasekaran, the then Tata Consultancy Services (TCS) Chief Executive Officer. "The trustees placed on record the significant contribution of Venkataramanan in steering and executing the objectives of the Trusts' portfolios over the last five years," a Tata Trusts statement said. Venkataramanan's resignation gains significance as he was subject to a CBI investigation last year for allegedly trying to manipulate government policies through corrupt means to get an international licence for AirAsia India. Accordingly, at a trustees' meeting held on Wednesday, his request was accepted. Venkataramanan will relinquish his duties on March 31. Established in 1892, the Tata Trusts is the country's oldest philanthropic organisation that is engaged in the areas of healthcare and nutrition, water and sanitation, education, energy, rural upliftment, urban poverty alleviation, arts, crafts and culture.